Barcelona readying £14m bid for Man United stalwart, Mourinho arrival could seal the deal | The Transfer Tavern | Where football transfer rumours fly or die! Daley Blind is a name often lauded in the Transfer Tavern after the Dutchman proved himself worthy of a regular starting berth in the eyes of the Manchester United supporting locals. While the Dutchman isn’t the most physically imposing of central defenders, he formed a formidable partnership with Chris Smalling in the heart of the rearguard and has a certain status of popularity amongst the Red Devils faithful. Still, that doesn’t appear to mean much to new manager Jose Mourinho, who is reportedly already willing to sell him despite taking over the club just last week. With that in mind, reports emanating out of Spain have had the fans in tonight a tad nervous at the notion one of their most trusty players could soon be on his way out. According to Sport, Barcelona are ready to make an €18m (roughly £14m) bid for the former Ajax man in order to help bolster their own defensive ranks. Able to operate either centrally, as a full-back or even in midfield, the 26-year old is comfortable on the ball and seems to boast the necessary attributes to fit into the philosophy with the Blaugrana. 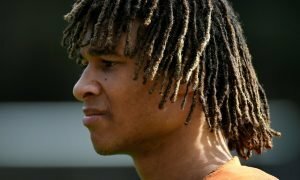 Would Mourinho be foolish to get rid of Blind so soon?